Do You Want to Know How to Use Facebook to Build Your Network Marketing Business? The Opportunity to build your business with Facebook is massive. Two Billion people currently use Facebook, including 85% of the Baby Boomers, which is the most powerful consumer group in the world. The smart way to build any business is to go where the biggest amount of the market is. And that is what Facebook is. The largest pool of people in the world that need your products and opportunity. Now anyone, regardless of personality type, previous experience, or skill level, can begin to effectively work their business using social media. In the past, the learning curve was painful and long. As an introvert who is very sensitive to rejection, I had no choice but to face my fears head on and master the telephone and personal presentations to build my business. Now, using the fundamentals you will learn in this training, anyone can quickly begin to make contacts and have success before they master the phone. Without social media skills you are limited to when you are able to actually reach someone through the phone or meet with someone. This makes your effective time to work the process minimal. This is especially true for someone with a family and a career. With social media skills, you can work your business any time of the day or night. Time no longer becomes an obstacle. Now you can be productive any time that works for you. As with all my teaching, there are no gimmicks or magic tricks here. The most important things in life and in network marketing are fundamentals that you can take action on and master. The process of the work never changes. This training teaches you the fundamentals so that you and your team can learn to be successful in the process using social media as a part of your long term strategy. Everything you learn has been proven. 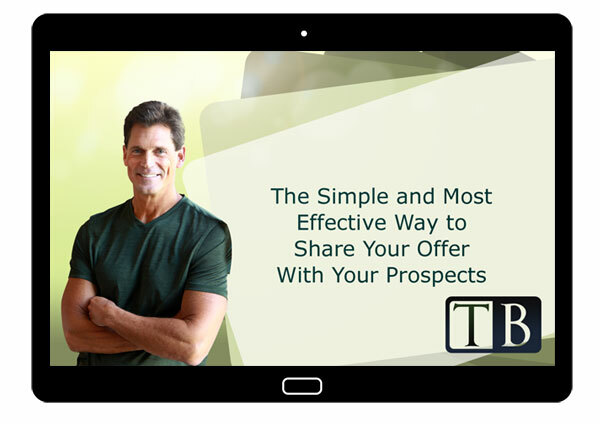 This training was originally recorded in front of a live audience in Munich, Germany. It has been re-recorded for better sound quality and to remove the translation. It is broken into 9 video modules and will absolutely make a difference for you and the people in your team. Everyone in network marketing needs to know how to work with social media. Even if they don’t choose to use it, they will sponsor many people who want to. In fact, not knowing how to use it will reduce the amount of people you can sponsor, as many people will only want to join a team that knows how to use Facebook. The strategy and the scripts for approaching the 4 groups of friends as a pdf. It’s been said that “Repetition is the Mother of Skill.” These MP3 Recordings of the entire program will help you develop your skills wherever you are! 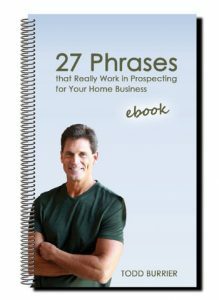 This ebook (pdf) is the transcript from Todd’s 27 Phrases that work MP3. It is full of the most effective things to say and will help you further craft your contacting language to become a master prospector. 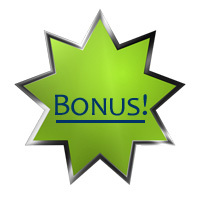 I guarantee you’ll be so blown away at the value you’ll receive that I’m offering you my 60-Day 100% Money-Back Guarantee. Join me and watch the recording, and if you’re not 100% satisfied, simply contact me within 60 days and I’ll refund your investment.